The links in the email directed to an external login page that captured SMU credentials once entered. 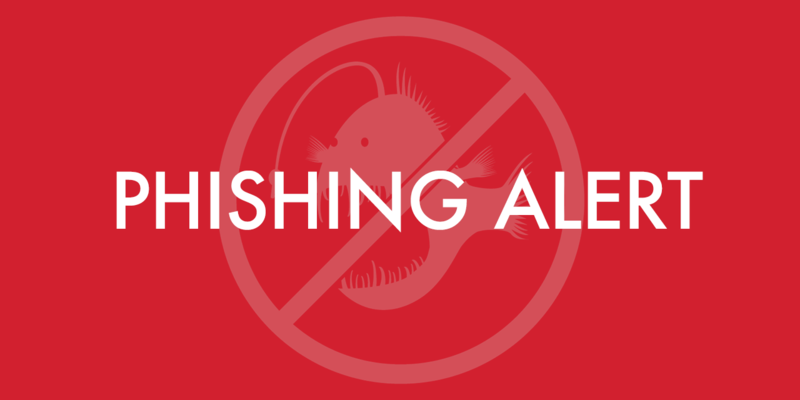 Please be extra cautious and guard your account information, and remember that we will never ask you to verify your account information, or provide your password or any personal information via email. 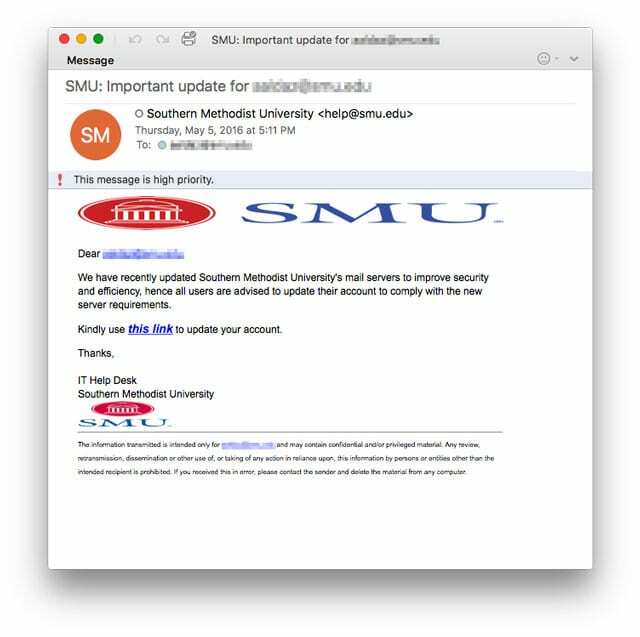 If you did fall victim to the phishing email, please change your password immediately at smu.edu/password and contact the IT Help Desk by calling (214) 768-4357.